Hungary has never experienced before the candidacy of a deaf person, this is why the media follows up recent developments with great interest. Mr Kosa as President to SINOSZ has always intended to maintain fruitful cooperation with all political parties. He has received the unique opportunity to become an independent MEP with the request of Fidesz. 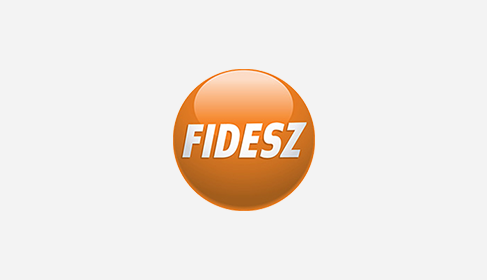 “I am not a member of Fidesz, and I have no intensions to become a politician, however, I will do my best to represent the interests of people with disabilities” – he stated. His main objective is to assure that disability is not a question of party politics. As his slogan says: “Disability policy is not a question of being leftist or rightist”. President to SINOSZ has never intended to be a politician, he neither considers himself to be one since he has been a candidate-MEP. “The Fidesz’ request was addressed to person living with disability, to the president of SINOSZ, not to a politician.” The initiative is very important from the point of view of a shift on approach of the society towards the issue. According to his experiences, “people first face disability if their children born with disability or if they lose one of their ability due to an accident. However, since only few disabled persons born with disability, people come across this state when they get older and loose certain important abilities.” Politics have to involve social groups, and this is a very good occasion to serve this goal. Strangely enough, this process has not started yet within the European Union. The number of the national deputies who live with disabilities is few; there are only two deaf deputies in the member states of the EU. Mr Kosa would be the fourth MEP with disabilities, and at the same time the first deaf MEP in the European Parliament. When elected, he will take the floor by signing in Hungarian sign language, – which he finds to be the first element to help to change the attitude of society, – while he will communicate in writing or with the help of sign language interpreters with the journalists. Beside his work, his presence in the EP will mean even more to make the society be aware of the importance of the issue of disability. As an instance, the European Parliament will have to facilitate the sign language interpretation to Mr Kosa, which has not been needed before. The disability policies of the member states differ in many respects, and there are major differences at regional levels as well. “Spain is doing very well in the field of eliminating physical barriers, the UK is number one at assuring info-communicational accessibility, while the Germans succeed in the field of employment of disabled people. Hungary is legging behind the Western-European countries regarding the data of employed disabled persons. “Only every tenth Hungarian who lives with disabilities has got a job, meanwhile in Western Europe, every fourth or fifth disabled person is employed. It is a significant difference.” This is the reason why Mr Kosa’s most important objective is to reinforce the role of disability policy within the EU and in Hungary as well. Disability policy and party politics – are they compatible? One can wonder whether the candidacy of Mr Kosa was just a campaign trickery from Fidesz, or does the party really mean to take up the issue of people living with disabilities. “Was it just a campaign beat? It is possible, however, there are more and more people who think that an MEP who lives with disability can stand for not just the interests of his fellows, but for an ordinary person as well – which is a very good starting point in my opinion.” One thing is sure: Fidesz made the first step towards the representation of the interests of disabled persons. “If other parties had granted my professional independence, my freedom to choose my colleagues and the freedom to define my programme, like it happened with Fidesz-KDNP, I would have considered the idea. Since they did not get in contact with me, there was no dilemma.” Mr Kosa emphasized that since he had been a candidate MEP of the party, Fidesz had made efforts to improve accessibility, like providing subtitles for the live broadcast of www.fidesz.hu or assuring the accessibility of Fidesz event for wheelchair-bound persons. There are 600 000 persons in Hungary, 50 million persons in the EU who live with disabilities. Other parties have not recognized the importance of improving their conditions of life, though the economical crises hits them even more than healthy people. “The situation of people living with disabilities is usually worse than the average. To take a simile, if the sea level goes down, disabled people get more down too, which affects them seriously, since it creates an even worse situation. The unemployment rate among people with disabilities in Hungary is almost 90%. This percentage could not be much worse, however, we have to fight against the deterioration of the situation both at the national and at the EU level. If elected, Mr Kosa would like to realize several aims. One of the most crucial and urgent objectives is to change the attitude that has evolved all over Europe in people towards their fellows who live with disabilities: to make people see that disabled persons are just as valuable as anyone else. It can be reached in practice by employing more people with disabilities, by extending the educational and training facilities and by providing a uniformed and available system of services. Beside all of these, Mr Kosa intends to adopt several enforceable European norms to improve the accessibility of the environment, and he also wants to draw up an EU research programme for assuring the sustainability of the elderly and the disabled society. His initiatives would treat disability policy more profoundly, however, it is an open question whether theory and practice would coincide. 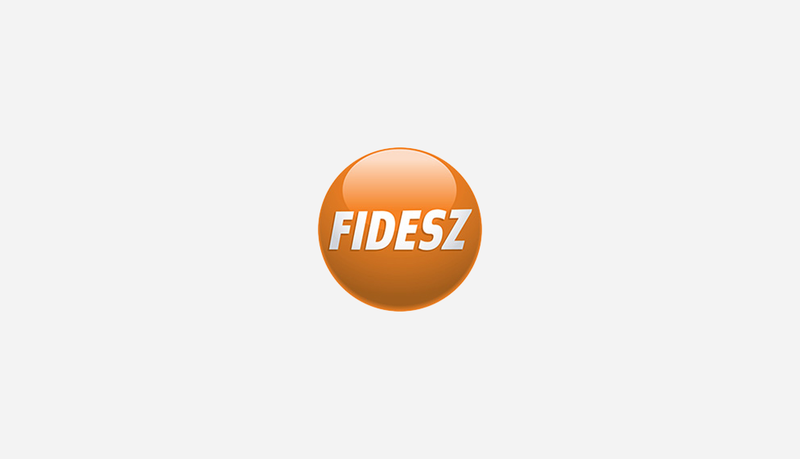 The candidate MEP of Fidesz wants to realize as many aims as possible, but he is aware that the first and most important step is the shift in attitude towards the people with disabilities. “I do not believe that all difficulties and disadvantages can be eliminated, since unemployment among disabled people does exist in Western Europe as well. How much can our situation improve? It depends from the governmental actions to a large extend. What I can do is to try to define European answers so that they can influence the Hungarian government.” Fortunately, the disability organisations have come to a compromise and all of them support the candidacy of Mr Kosa, though they do not always have agreed in political questions. “All the major national organisations, directly or by their umbrella organisation, have supported my candidacy without reservation. It means more than one hundred organisations. Disability policy cannot be a question of party preference: it is of social interest, especially in Hungary, where society is getting older and older compared even to the European average. President of SINOSZ is optimistic about his venture and does not think he overengaged himself. “If I was worried, I would not start doing it. I am trying to realize my and my programme’s weaknesses in order to minimize the risks.” The candidate MEP is aware of the demanding tasks he will have to face, however, he is sure that he can succeed with the support coming from home and from Europe as well. He knows that his work can serve as an example for persons with and without disabilities, that is why he wants to prove that a deaf MEP can do his job just as well as sound MEP can.